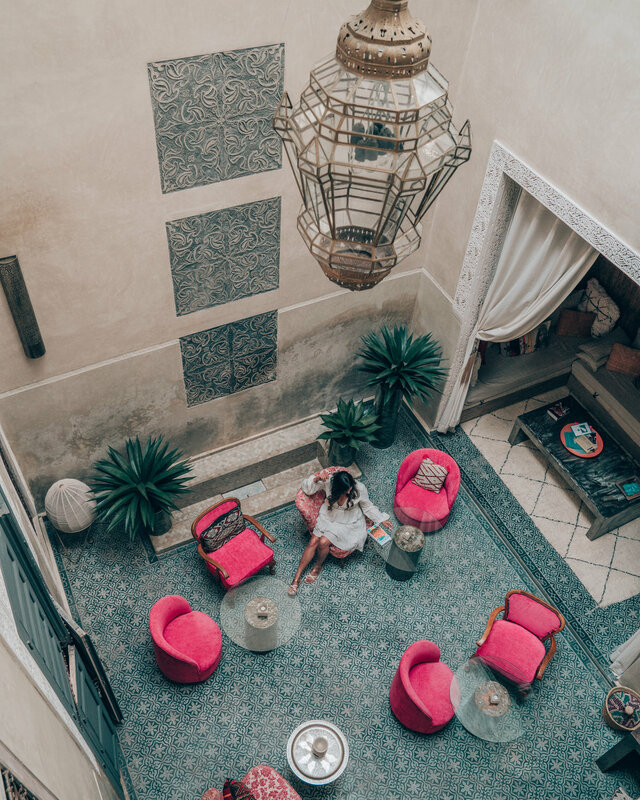 If you are spending a short time in Fes, you should absolutely stay in the heart of the medina to give yourself close proximity to all the things you’ll want to do and see. 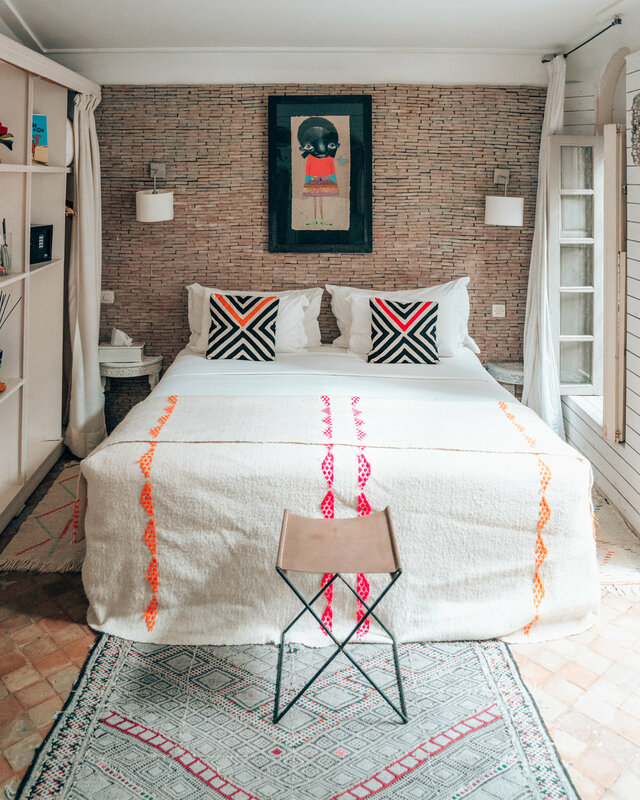 I stayed at Riad Anata for two nights and it was a wonderful combination of traditional Moroccan decor mixed with modern amenities that made me feel right at home. The hospitality here was top notch, with no detail left unturned. If you visit Riad Anata, I hope you have the pleasure of meeting Sayeed. He was the kindest and most humble host I have ever encountered - a true gem. He was also extremely helpful in terms of guidance, advice and tips. 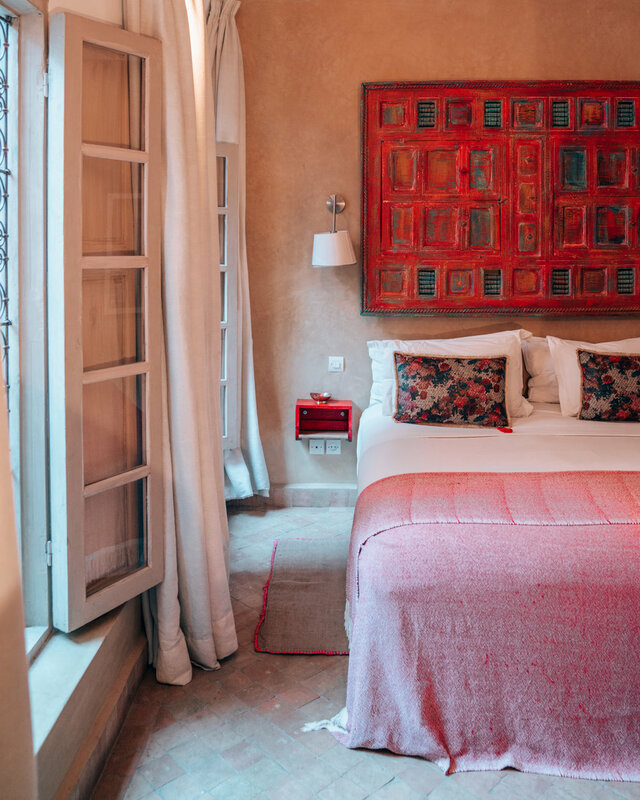 Located inside the ancient medina of Fes, Riad Anata is the perfect place to rest between your Moroccan adventures since almost everything is within walking distance from it. The riad is steps away from Place Batha, where you can find the little red taxis to take you to other parts of the city. This charming boutique guesthouse has 4 floors and 5 color-themed rooms that are sure to give you a great night's sleep. Comfortable beds, luxe sheets and chic decor are what you can expect. I stayed in the Red Room on the second floor. 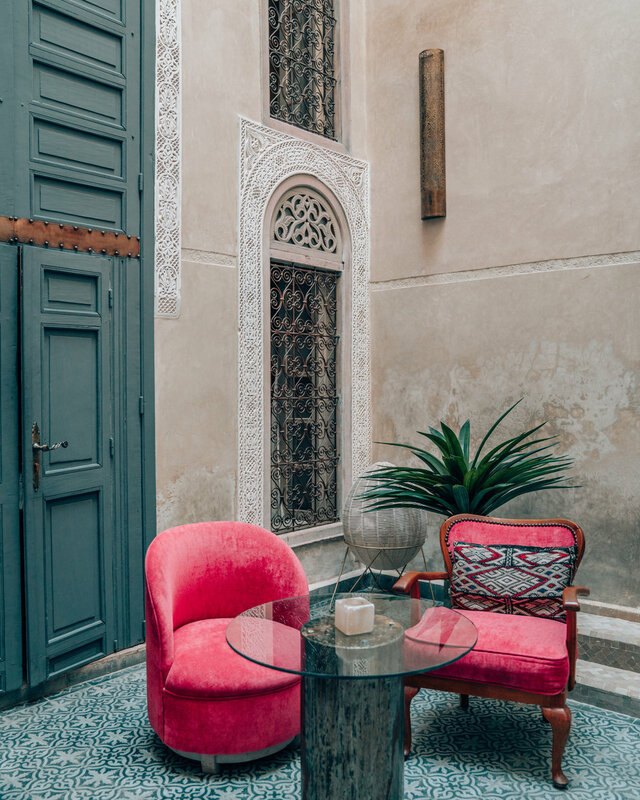 It was quiet and peaceful with windows overlooking the interior courtyard (a common characteristic found in traditional Moroccan riads). 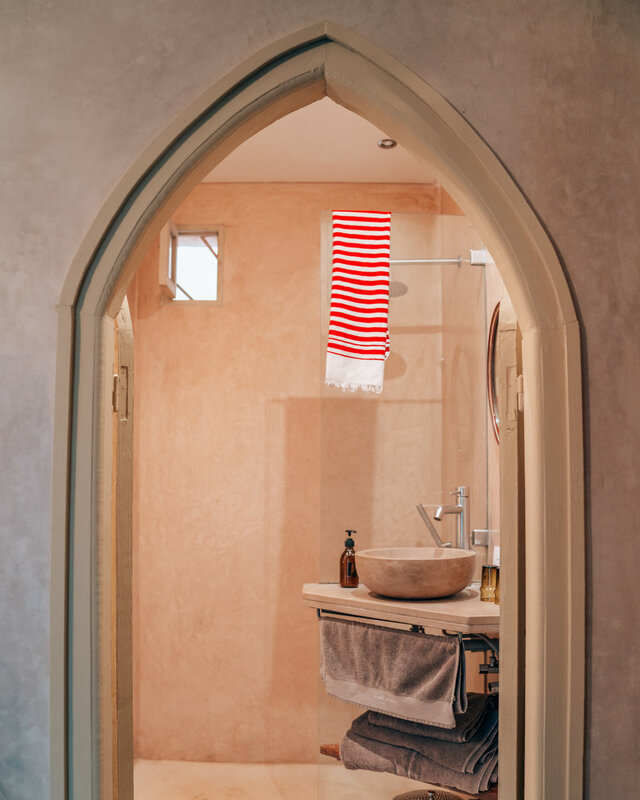 Each room also has its own bathroom, with wonderfully scented soaps and shampoos! Breakfast: Each morning, I was greeted by Sayeed with a fantastic breakfast spread! Don't skip this Moroccan-style breakfast - it is hearty and just what you need to fuel up for a full day of exploring! Dinner: I also had dinner here one night and it was one of the best Tagines I had on our entire trip. 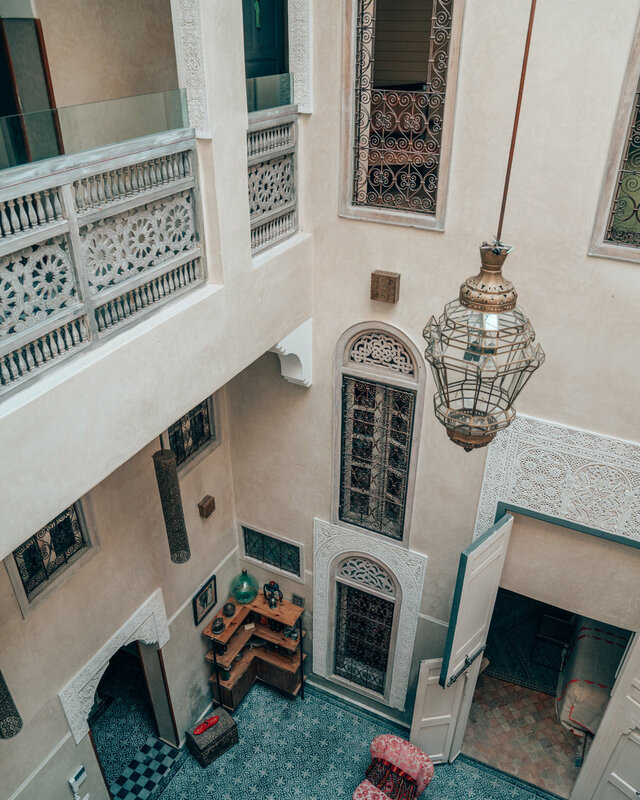 Upon request, the staff is able to arrange an extremely affordable and knowledgeable tour guide to help you navigate through the twists and turns of the Fes medina. If it is your first time in the medina or if you are short on time, I would suggest hiring a guide, as it can be a bit of a maze! We definitely would not have been able to do or see as much as we did without getting lost. If location, impeccable attention to detail and genuine hospitality are what you value, I highly recommend Riad Anata during a visit to Fes. Plus, breakfast and chic decor are included in your stay! Thank you, Riad Anata, for the generosity and kind hospitality during my stay. Although I was a guest of Riad Anata, all opinions expressed are my own.